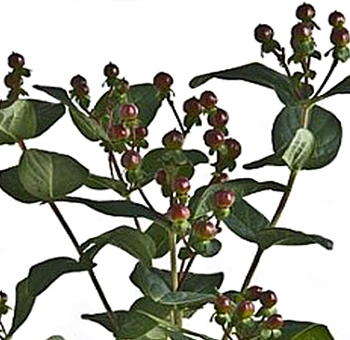 Hypericum, or hypericum berries, are popular filler flowers used to complement floral arrangements, bouquets, centerpieces, and outdoor decorations at parties, weddings and other special venues. They are popular throughout the year and especially during the winter season. 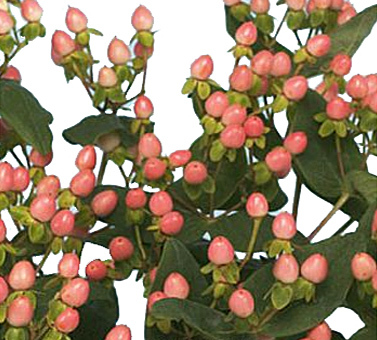 They are characterized by their flowering berries, reminiscent of coffee beans. The berries are large clusters that rest on top of woody stems. The berries come in several different shades and make wonderful accents. They are available all year round, and are sold in bulk, starting at 80 stems. Ample hydration is provided prior to shipping to promote vase life. BUY 60 ASSORTED BERRIES FOR THE PRICE OF 50! BUY 60 CREAMY YELLOW BERRIES FOR THE PRICE OF 50! BUY 60 CREAMY PINK BERRIES FOR THE PRICE OF 50! BUY 60 PINK BERRIES FOR THE PRICE OF 50! BUY 60 PEACHY PINK BERRIES FOR THE PRICE OF 50! BUY 60 RED BERRIES FOR THE PRICE OF 50! BUY 60 DARK RED BERRIES FOR THE PRICE OF 50! 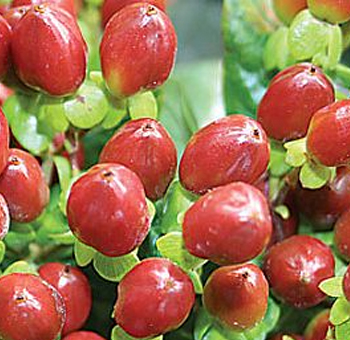 The hypericum berry is a part of the genus having almost 400 different species. Also called Tipton weed or Goat weed It’s is more commonly referred to as St. John’s Wort. This flower can be identified through its yellow flower which has black spots and oval leaves. This beautiful self-seeding shrub is a perennial herbaceous plant that is very popular and easy to grow. They can be deciduous or even evergreen. Some varieties are even grown as annuals, perennials, shrubs or small trees. 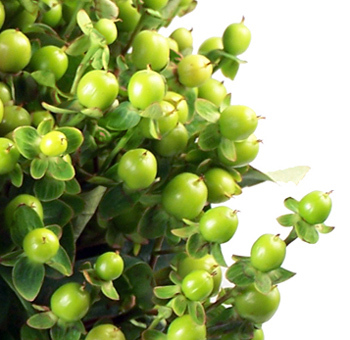 The hypericum has a beautiful lush green foliage which is just as aesthetic as its flowers and berries.Apart from ornamental use hypericum even boasts treating illness like headaches, sleep problems, depression and stomach pains. According to superstition in some cultures, it's also used to ward off evil spirits. The use of this plant dates back to the time of Hippocrates where he mentions that they help with hip pain. It was actually even used by civil soldiers to make wine. This perennial plant blooms in early spring and can grow up to three feet in height. It has reddish-brown fruits which mostly ripen somewhere in September. These berries are preferred to grow by horticulturists and gardeners because of how sturdy and easy they are to grow. As long as they have a well-drained soil they can be planted in sun or the shade. However, they grow best in a slightly acidic soil even though they can be grown in almost any soil. The hypericum flower is like a buttercup with five petals in colors that come in pale through dark yellow. But even though the flowers are so attractive, they are considered as a weed in many places like farmlands. 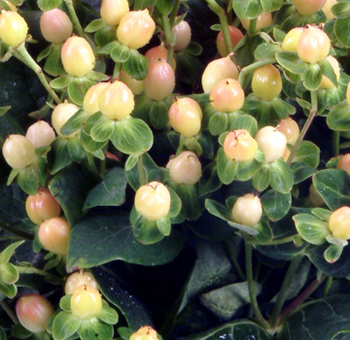 The hypericum flower, as well as its berries, are used in the cut flowers trade. They usually come in a wide range of colors. From pink through to green. 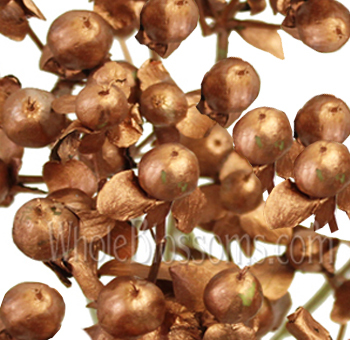 Peach hypericum berries are gorgeous and go well with corral themes. 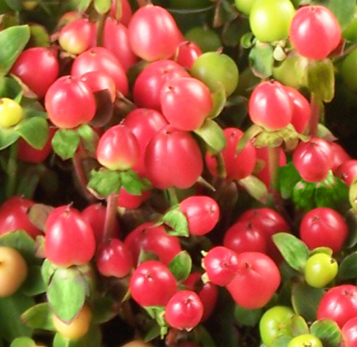 However, it is the red hypericum berries which look stunningly attractive than most. The flowers of hypericum are really very beautiful, but the berries this plant produces are much more famous for ornamental use. Even in the cut flowers trade, there is always a high demand for the hypericum berries that come in colors like red, brown, purple and orange colors. 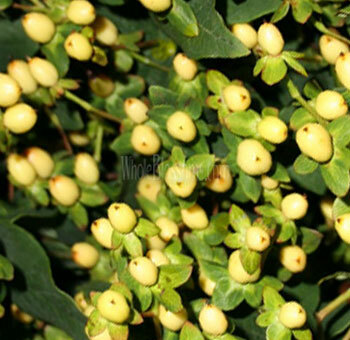 The hypericum berries is a common plant that has both the fruits and flowers used for ornamental purposes. There are many medicinal values to this plant as well, but nowadays it's most likely to be seen in various settings as décor. On special events and weddings, the hypericum can be the best thing you'll ever see. They were the centerpieces of the presentation bouquets in the Winter Olympics held in Vancouver. 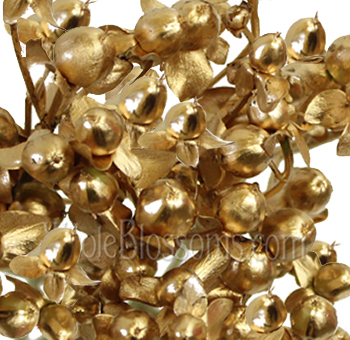 They are increasingly being used in bouquets as centerpieces or ornamental décor because they do. They blend well with other flowers. They make perfect fillers too. Pair them up with roses, Cala lilies or carnations, and you're good to go. 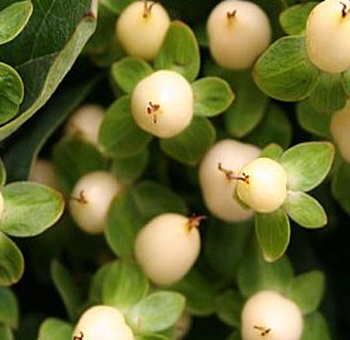 The hypericum berries flower looks especially magical in winter themed weddings. The Male the perfect addition to the bridal bouquet and can also be made into the cutest boutonnieres and corsages. They are the perfect addition to any fall and Christmas themed décor as well. Adding a unique and elegant accent to almost any table settings or centerpiece this flower is the way to go! Many brides to be an event planner have started opting to use them not just for fillers but also as the focal point of the arrangement. Winter white weddings and the hypericum berries flowers feel like a match made in wedding heaven. Since they come in such a vast range of colors finding one that even suits your color palate is easy. The hypericum berries add to the masterpieces you've already created. 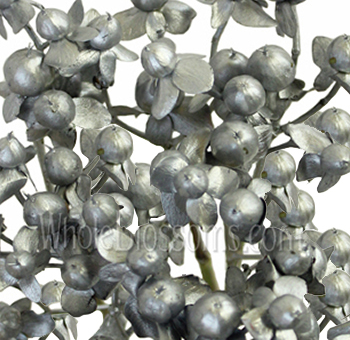 With such versatile uses of this flower, they are in high demand throughout the year. Especially after being the center of attention in the Winter Olympics once. The world has gotten creative with its uses for this plant. If this flower has taken your fancy for a special event or a wedding we're sure it can come together wonderfully. However, such events need a ton of flowers for decorating the space. 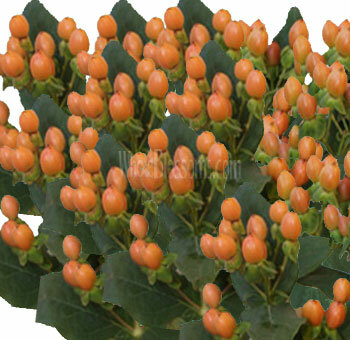 And buying hypericum flowers in bulk is the best way to make the most out of your money. Flowers can get expensive, and we understand that. That's why your best bet would be ordering from an online wholesaler. However, make sure you contact wholesalers like Whole Blossoms for guaranteed fresh flowers delivery. Having wilted flowers can be the worst possible thing to happen to any event planner. The bride to bewho islooking after the décor on their own shouldn’t be disappointed either. 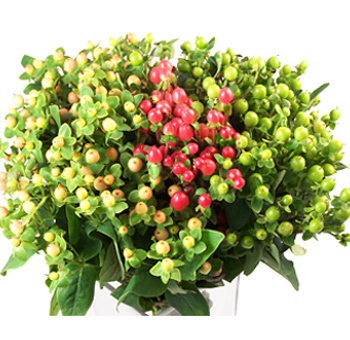 Having some trustworthy delivering your hypericum flowers is a must. They ensure that the flowers are not only fresh but get delivered to you right at your doorstep! Whole Blossoms is an online flower wholesaler so you’ll also be purchasing it in bulk from them. This will also ensure that you're making a smart budget-friendly purchase. So, don't wait too long to get your hands on this fantastic flower. There's so much you can do with it. Get the creativity flowing and be inspired to make masterpieces out of the gorgeous hypericum berry flowers.